This special issue on aural aesthetics explores music, voice, and language through essays on inner speech, a rhetoric of agency in Hegel’s Phenomenology of Spirit, meditations on the Hollywooder Liederbuch, Afro-pessimism, the relationship between sound and representation from a materialist perspective, and the dynamics of race in terms of both music and figural language in the novel Invisible Man. Contributors include David Copenhafer, Todd Cronan, Karen Feldman, Stathis Gourgouris, Brian Kane, Jacques Rancière, Denise Riley, and Jon Soske. 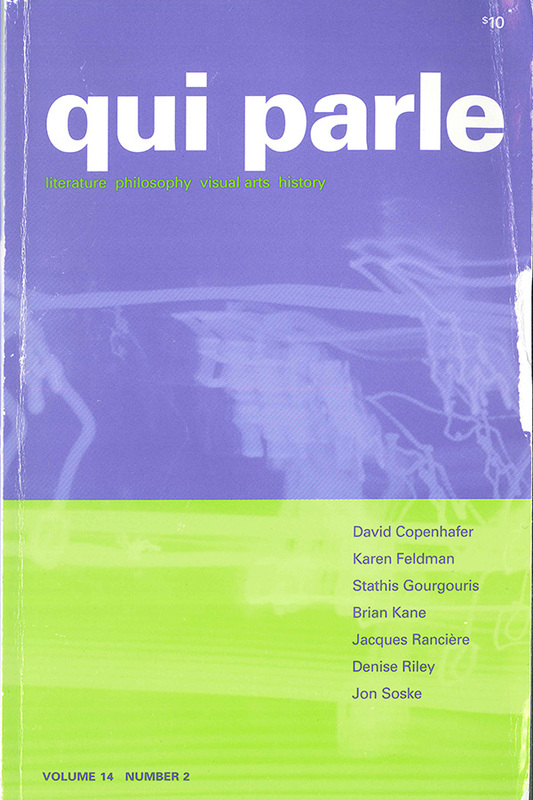 View the table of contents for Qui Parle 14:2, at the journal's online site.